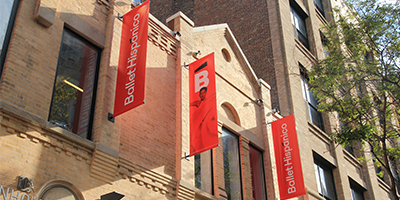 Ballet Hispánico brings communities together to celebrate and explore Latino cultures through innovative dance productions, transformative dance training, and community engagement. The Company is a group of highly trained professionals who perform the works of Latino choreographers for audiences around the world. Our repertory explores the diversity of Latino cultures and brings innovative ways of experiencing and sharing a cultural dialogue. Representing a multitude of nationalities, our artists reflect the ever-changing face of our nation.